The 2nd Auditor Certification Pilot, Shenzhen. 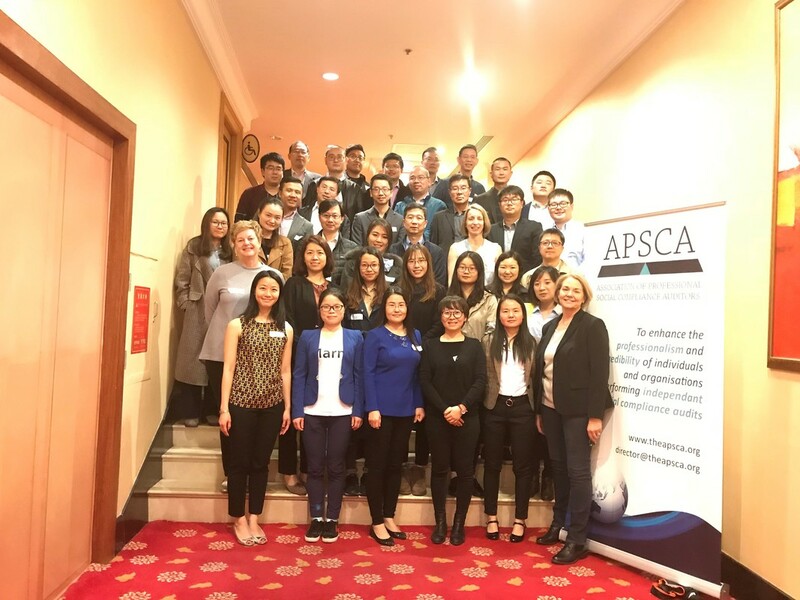 The 2nd Auditor Certification pilot took place in Shenzhen, China on 7 & 8 March. We had 48 auditors representing 29 Member Firms over two days with auditors having a range of experience from just starting in the social compliance industry to 20+ years’ experience. They all completed assessments and provided invaluable compliance feedback. Social Compliance Auditing plays a vital role in enabling brands to help to develop a fair and sustainable environment around the world. Organizations providing support via the APSCA Support Statement (that was launched last year) continues to grow. These organizations have provided their permission to use their name / logo which you can view on the "Support Statement" of this website. If you would like to offer your support and have your organization's name / logo placed on our website, please let us know by contacting director@theapsca.org or by clicking the link below.